Electronic circuits are found in almost everything from smartphones to spacecraft and are useful in a variety of computational problems from simple addition to determining the trajectories of interplanetary satellites. At Caltech, a group of researchers led by Assistant Professor of Bioengineering Lulu Qian is working to create circuits using not the usual silicon transistors but strands of DNA. The Qian group has made the technology of DNA circuits accessible to even novice researchers—including undergraduate students—using a software tool they developed called the Seesaw Compiler. Now, they have experimentally demonstrated that the tool can be used to quickly design DNA circuits that can then be built out of cheap "unpurified" DNA strands, following a systematic wet-lab procedure devised by Qian and colleagues. A paper describing the work appears in the February 23 issue of Nature Communications. Although DNA is best known as the molecule that encodes the genetic information of living things, they are also useful chemical building blocks. 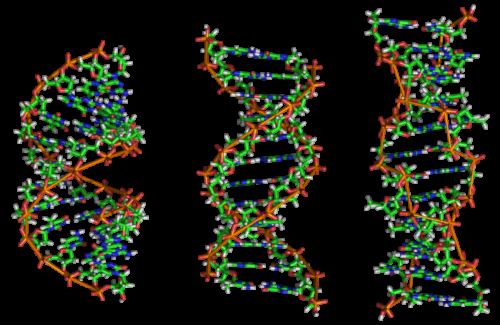 This is because the smaller molecules that make up a strand of DNA, called nucleotides, bind together only with very specific rules—an A nucleotide binds to a T, and a C nucleotide binds to a G. A strand of DNA is a sequence of nucleotides and can become a double strand if it binds with a sequence of complementary nucleotides. However, building the designed circuit in the wet lab was not so simple. Thus, with continued efforts after the class, the group set out to develop a systematic wet-lab procedure that could guide researchers—even novices like undergraduate students—through the process of building DNA circuits. "Fortunately, we found a general solution to every challenge that we encountered, now making it easy for everyone to build their own DNA circuits," Thubagere says. The paper is titled, "Compiler-aided systematic construction of large-scale DNA strand displacement circuits using unpurified components."